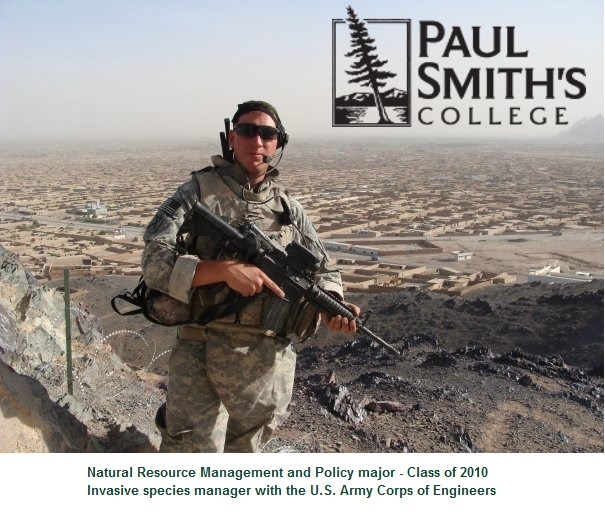 Paul Smith's College is the only 4-year college inside the boundaries of the world-famous Adirondack Park. Living and learning here requires a special kind of student - someone who values the abundance of our natural landscape and embraces our spirit of creative self-reliance. Does a career in the great outdoors sound better than a desk job? Recreation is everywhere! Put your love of the outdoors and your leadership skills to work, just like Marine Corp veteran Spencer Bucolo did!! Applications are still being accepted for the fall 2017 semester. Contact the Office of Veteran Services today and we'll help you get started. 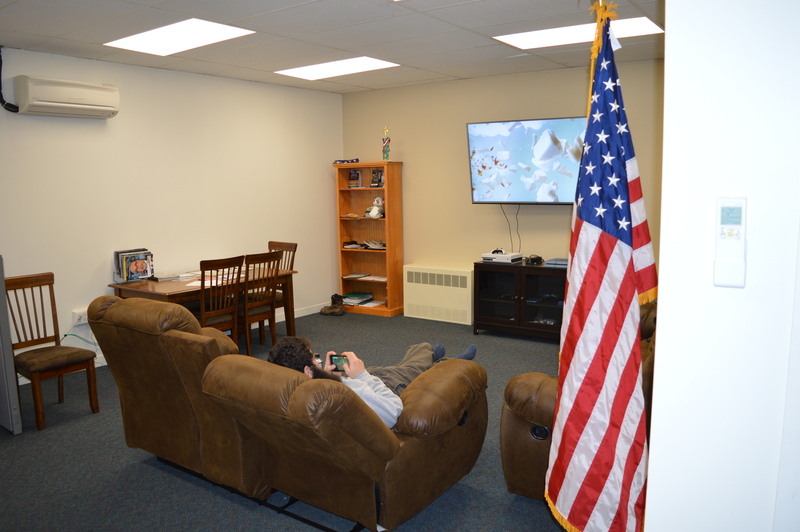 Paul Smith’s Veteran Resource Center is dedicated solely to our vets for both work and play. It features an area for gaming, lounging and watching TV, as well as computers and work areas where you can concentrate. Applications are still being accepted for the fall 2017 semester. Contact us today for more information on becoming a Smitty!! Meet some of our newest alumni. 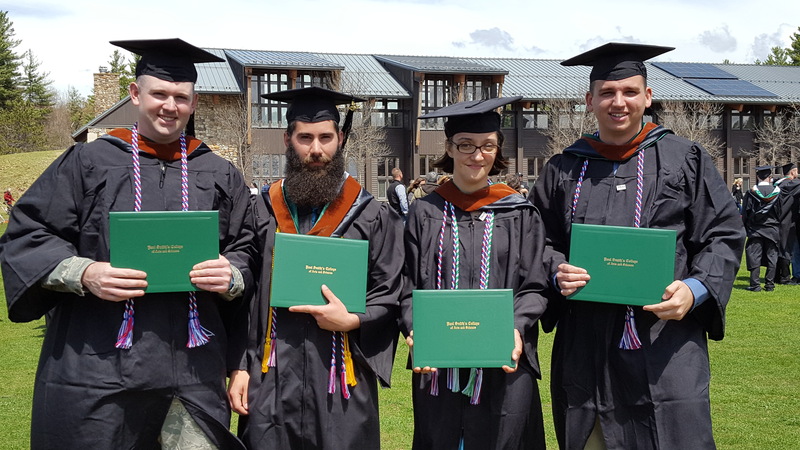 Congratulations to these student veterans who recently gradutated from Paul Smtih's College. Those red, white, and blue honor cords look great on you!! We are still accepting applications for the fall 2017 semester. If you'd like to become a Smitty, please contact us, we'll be happy to help!!! Is a career in the outdoors in your future? Check our the forestry program at Paul Smith's College. Applications are still being accepted for the fall 2017 semester. Student Veterans!! 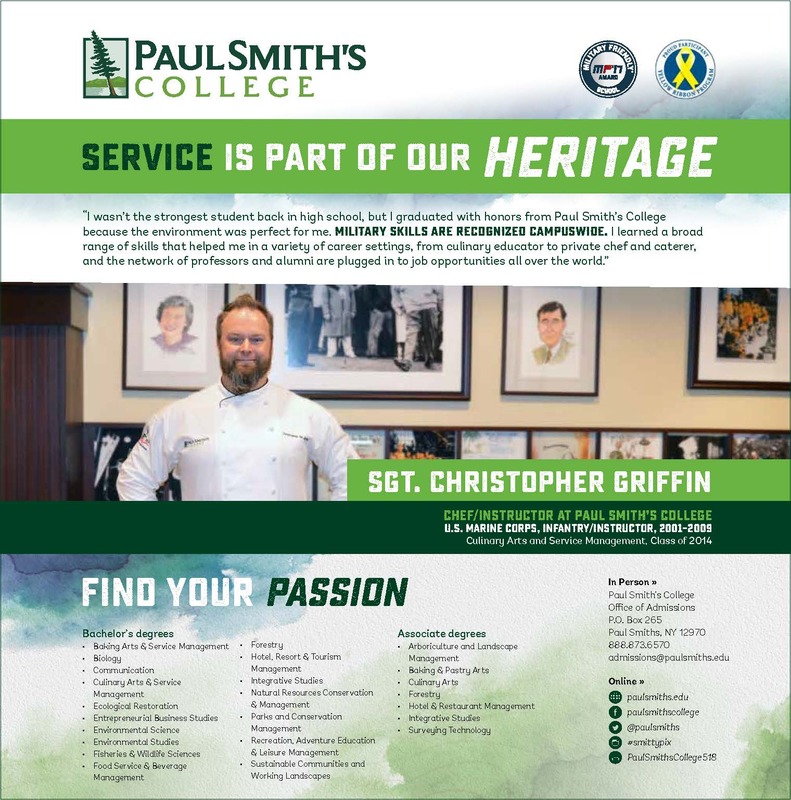 Paul Smith's College accepts applications on a rolling basis. It's not too late to apply for the fall 2017 semester. We helped Sgt. Chris Griffin find his passion, let us help you find yours! Where can a Paul Smith's College education take you? Listen to Kevin Litchfield, the Director of Brewing Operations and a 1997 graduate of our Hotel & Restaurant Management program, as he describes his career in the craft brewing industry. State Routes 30 and 86.